Everybody knows that in the American Justice system, an accused is presumed innocent. However, the Law Offices of Karen L. Goldstein also knows that the key to a successful defense is early preparation, tireless work, dedication, investigation, and fighting the case before any charges have been filed or the accused has even set foot into a courtroom. 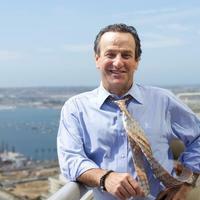 When losing is not an option: call the Law Offices of Michael Berg to fight your criminal case: 619-239-2186.